(AFP) — The Iraqi government cut autonomous Kurdistan’s direct air links with the outside world indefinitely on Friday, partially isolating the northern region after it voted a massive “yes” in an independence referendum. The move increases the pressure on the Iraqi Kurds amid soaring regional tensions following Monday’s non-binding but deeply contentious vote. Washington said it did not recognise the “unilateral” referendum and urged all parties to reject the use of force and engage in dialogue. “The vote and the results lack legitimacy and we continue to support a united, federal, democratic and prosperous Iraq,” US Secretary of State Rex Tillerson said in a statement. The central government in Baghdad had ordered the halt to all foreign flights to and from the autonomous Kurdish region from 6:00 pm (1500 GMT) on Friday. Foreigners scrambled to fly out of the region’s capital Arbil and its second largest city Sulaimaniyah before the ban took effect. Iraqi Kurdish transport minister Mawlud Bawa Murad told AFP at Arbil airport that the ban would “negatively impact all international businesses in the Kurdistan region, in addition to all civilians, from all nations”. Arbil is a key gateway for humanitarian aid workers helping Iraqis affected by the battle against the Islamic State group (IS). Washington said earlier it would be willing to facilitate talks between the Iraqi Kurdish authorities and Baghdad to calm escalating tensions over the 92-percent “yes” vote. Neighbouring Turkey and Iran also strongly opposed the vote, fearing it would inflame the separatist aspirations of their own sizeable Kurdish populations. Ankara has threatened a series of measures including blocking lifeline oil exports from the region via Turkey. The Kurds, whose borders with Turkey, Iran and Syria remain open, have condemned the flight suspension as “collective punishment”. 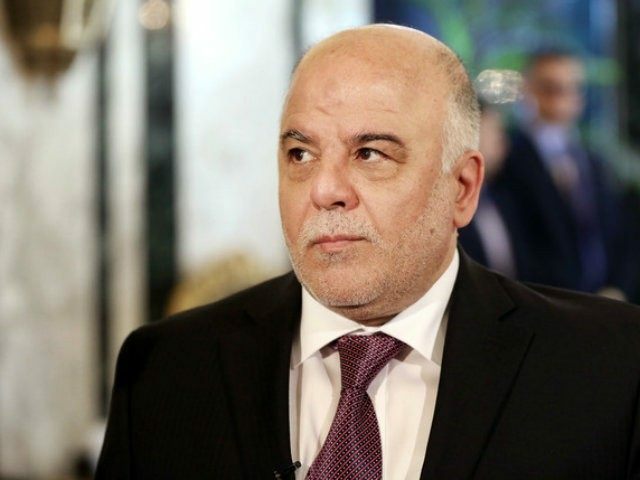 Iraq’s Prime Minister Haider al-Abadi said it was not “punishment” but a legal measure that would be reversed if the transport authority was transferred to Baghdad in line with the Iraqi constitution. The ban saw people, many of them foreigners, flock to Arbil airport to avoid being stranded. Iraqi Kurdistan is home to a large international community, most of whom enter on a visa issued by the regional authorities that is not recognised by the central government, so they cannot travel elsewhere in Iraq. On Friday, around 100 passengers waited eagerly for their planes in Arbil, where the last flight out was to Vienna at 4 pm. “We were supposed to go back to Brazil next Saturday but we rescheduled our flight,” said Isidoro Junior, a 32-year-old volunteer for an NGO providing medical assistance to Iraqis displaced by the war against IS. The director of Arbil airport, Talar Faiq Salih said humanitarian, military and diplomatic flights were excluded from the ban. Earlier, the UN humanitarian office OCHA said it was working to ensure aid could continue to reach tens of thousands of needy Iraqis. In Sulaimaniyah, foreigners and others needing to leave sped to the airport before the ban took effect, while Kurds who were abroad for business or tourism rushed home. “There have been masses of people for two days,” said airport spokesman Dana Mohammad Said, adding that the airport remained open for domestic flights. Grand Ayatollah Ali al-Sistani, Iraq’s highest Shiite religious authority, called for all sides “to abide by the Iraqi constitution and to appeal to High Federal Court to solve the Kurdistan crisis”. “The latest political developments should not have a negative impact on the strong relationship between sons of the homeland, Arabs, Turkmen, Kurds and others,” his representative said. Washington said it would be prepared to “help facilitate a conversation” between Arbil and Baghdad. “We would like to see some calm on all sides,” US State Department spokeswoman Heather Nauert said, noting that the US had opposed the referendum “because we thought it would be destabilising”. On Thursday, the spokesman for the international coalition fighting IS in Iraq and neighbouring Syria said the referendum had taken focus away from the war against the jihadists. French President Emmanuel Macron invited al-Abadi to visit Paris on October 5 to discuss the referendum and offered France’s help in calming tensions. “Faced with the priority of fighting Daesh and the stabilisation of Iraq, Iraqis must remain united,” the presidency said in a statement, using another name for IS. Iraqi forces meanwhile launched an assault on the northern town of Hawija, one of the last IS bastions in the country along with a stretch of the Euphrates Valley near the border with Syria. Kurdish forces have been key allies in US-backed offensives against IS in both Syria and Iraq.